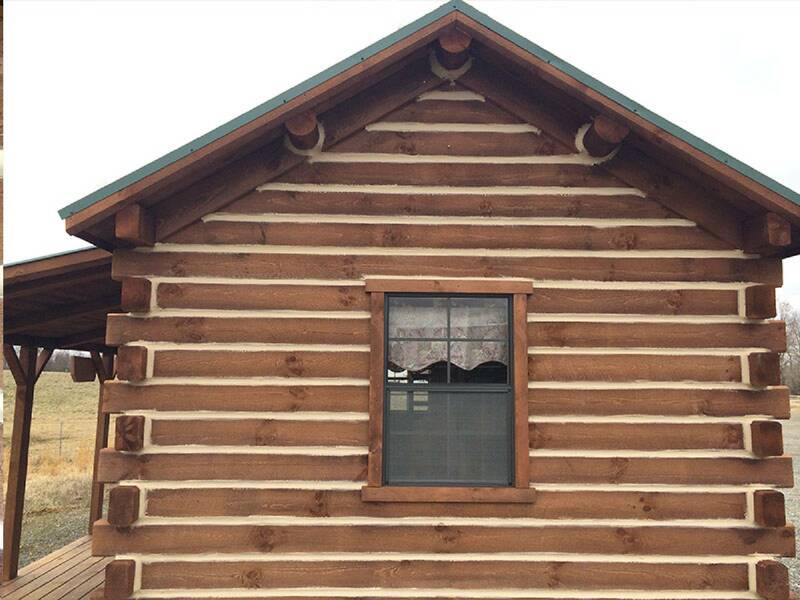 Chinking is a flexible sealant that is used to seal the joints of log homes. No matter what type of log property you own, it is important to use chinking, a synthetic mortar, to keep the log joints sealed. The cost of chinking is usually measured by the lineal foot to be completed, which includes backer fillers and the chinking plus labor and can range from $3 to $5 per lineal foot, depending on the spacing of the logs. The first step in a proper chinking job is the preparation of the logs first. If you are doing a complete restoration of your log home, here is the steps to take in the complete finish of your log home. 1). Prep your log home by covering a windows and door openings with a 3/8” OSB plywood using a brad nailers, fastening to the trim on the frame. 2). Ground cover all around your home with a poly sheet to capture any and all media. 3). Remove all fixtures and hardware. 4). Media blast all exposed logs and wood trim, using the method of Soda Blasting, using eco-friendly media. 5). 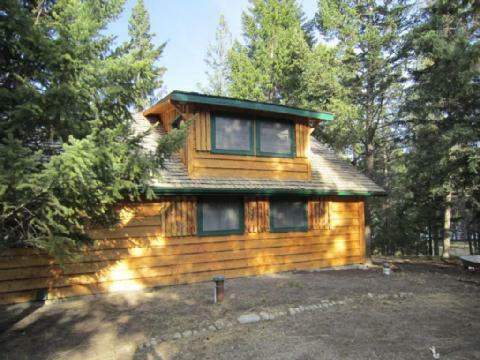 Blow off all excessive media and debris from your log home, and optional pressure wash your log home. 6). 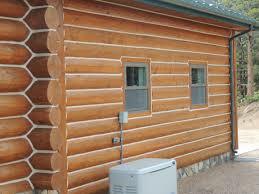 Stain your log home by airless spraying to ensure you impact all areas of your blasted logs. 7). 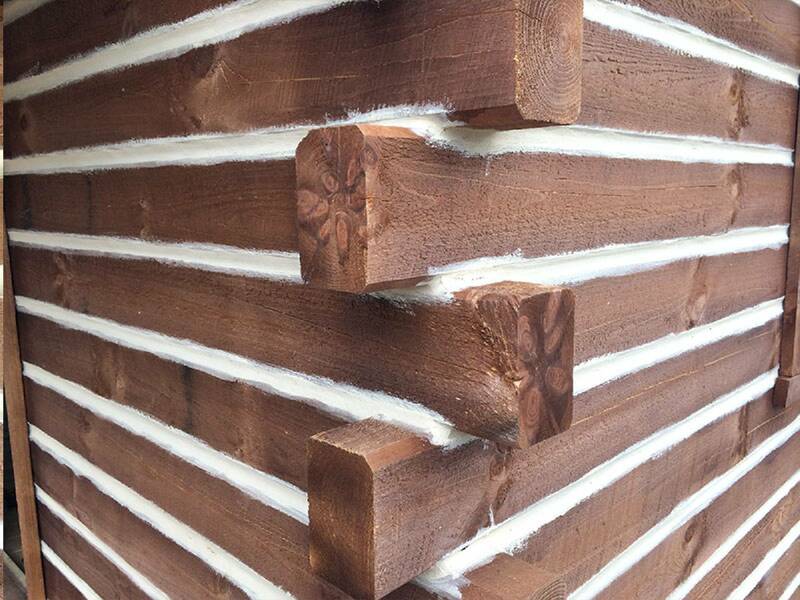 Apply your chinking by a professional who has the experience to make your log home look good, using the right color choice of different colored chinking. a division of 1195652 Alberta Ltd.
All work performed is under signed contract, with retainer requested.